***Update: American Express recently (late 2014) revised the terms of the old Blue Cash whereby you will only receive 5% on the first $50,000 in Everyday Purchases made during your reward year. Prior to this change there was no cash back limit. If you still carry the original American Express Blue Cash card in your wallet, don’t go “upgrading it” to the newer Blue Cash Everyday cards. There are several compelling reasons why you shouldn’t, which I will outline here. 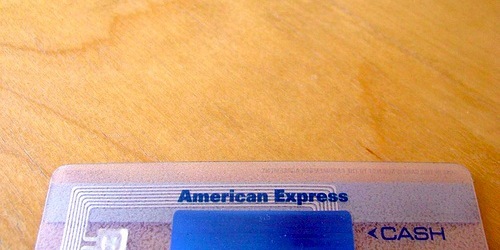 First and foremost, there is no annual fee on the original American Express Blue Cash card. Compare that to the $75 annual fee on the Blue Cash Preferred Card and you’re already winning by keeping the old Blue Cash card. I can’t think of another credit card that offers 5% cash back all year long in multiple categories, especially in these solid categories. Not only that, but there’s no limit to how much you can earn, unlike many of the other 5% categories, which typically limit rewards to the first $1,500 spent each quarter. That’s a max reward of $75. Kind of weak. With the original Blue Cash card the sky is the limit, which can mean beaucoup bucks if you spend a lot of money at grocery stores, gas stations, and drugstores. *It’s now a maximum of $2,500, which is still awesome! The new versions of Blue Cash from American Express cap out at $6,000 in purchases per year at grocery stores, despite the preferred version’s generous 6% cash back. And the standard version only offers 3% cash back at grocery stores with the same limit. So the older Blue Cash card clearly wins in the cash back categories, and the high cash back limits coupled with no annual fee make it an even stronger adversary. But before we get too excited, because this is all sounding too good to be true, you should know that there’s a major caveat with the old Amex Blue Cash card. You don’t actually start earning 5% cash back until you spend $6,500 in purchases during a reward year. A reward year begins with your cardmember anniversary and spans 12 billing cycles. So you need to take note of that key date and start spending like crazy to get to $6,500 as soon as possible to max out rewards on the old version. If you don’t spend a lot of money, forget it, the old version probably isn’t for you. But if you have no trouble spending $6,500 in a hurry, there’s really no reason you should opt for the new version, or upgrade as they put it. By the way, referring to it as an upgrade is kind of laughable because it’s not better, just more expensive and less rewarding (unless you don’t spend much). If you don’t spend a lot on your credit card, paying an annual fee doesn’t make much either. But that’s a conversation for another day. There are plenty of ways to reach the $6,500 mark quickly if you time things right and know of a few ways to boost spending. You can load a Serve account with your credit card, send money via Amazon Payments, and/or buy gift cards to get the ball rolling. A little strategy should go a long way here. Then you can begin to enjoy 5% cash back in all those categories all year, which could equate to some absurd amount of cash back. It can be maximized further if you purchase gift cards (like Amazon, Starbucks, etc.) at grocery stores, so you’ll effectively get 5% back at all types of other places you normally shop at. Simply put, I love the fact that I can earn 5% cash back with no limits in spending categories I use frequently. Other cards have very low maximum reward thresholds for earning 5% cash back, so it often sounds better than it really is. Once I spend $6,500, which I consciously try to do early in my reward year, I can earn 5% back on gas, groceries, and at drugstores with no fuss, no muss. No other credit card can do that. Period. I can easily spend $1,000 a month at places that earn 5% cash back, which is $50 per month, or $600 annually. Also, there’s no annual fee, though some liken the spending requirement to one. Still, I don’t have to worry about getting hit with a fee each year. So there’s no pressure either way. Did you know you can still apply for the old Blue Cash card? American Express doesn’t advertise it anymore, but it is indeed available. Just go to the landing page on American Express’s website in incognito mode and select all credit cards. Tip: This link won’t work if you’ve got cookies from a login to the American Express website, so either flush your browser or use a different browser that you don’t normally use. If you’re using Firefox you can also open a new private window and it will work. Just right click it and select “open in new private window.” In Chrome, open a new incognito window before trying the link. You might also have the ability to “downgrade” to the old Blue Cash card (if you currently have the new one) by calling American Express directly. There’s no guarantee, but it’s worth a shot as it’s a lot easier than applying for a brand new card and canceling your existing one. In summary, the old version of Blue Cash has major earning potential that the newer versions can’t come close to if you’re a big spender. So be sure to give it a second look if you think it will benefit you. Remember, newer doesn’t always mean better! Update: The Old Blue Cash Card seems to be done, meaning you can no longer apply for it. I still have it in my wallet though. Hey, let’s say you hit $6500 for the year, from then on you will get 5% for life just by doing that one time? Or you will need to continue to hit $6500 consistently? Thanks. I wish it worked that way…unfortunately, you have to meet the $6,500 spend each Amex anniversary year before the 5% categories kick in. Otherwise it’d be amazing deal.